Our trip towards Pahalgam and drive on the National Highway 1A. This road connects the Valley to the rest of the country. We drive past the saffron fields of Pampore, the marvellous ruins of Avantipura and the village of Bijbehara which remains famous as the bread basket of Kashmir. You can even sample a few exotic breads sold by vendors near the road. We switch the the national highway at Khanabal and drive through the second largest city of Anantnag. From here the road turns scenic as we drive parallel on the Lidder river flowing from the opposite direction. In Pahalgam we check in at the hotel and later do some nature walks to unwind ourselves. You can also opt to spend your half a day of sightseeing by driving to the picturesque Chandanwari and Betaab valley or ride by horseback across the wildlife sanctuary towards Baisaran meadows. After your return from the beautiful meadows you will spend the night at the hotel. After breakfast in the morning, we will begin our country tour towards Gulmarg. 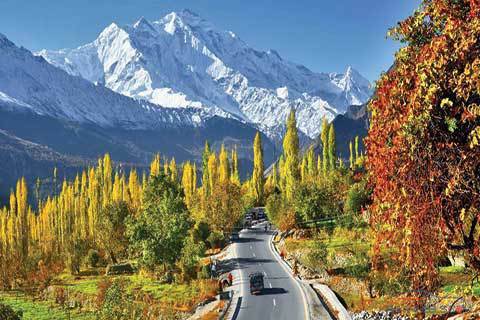 The drive past colorful villages and rice fields, gives you an insight of the rich cultural past of Kashmir. We arrive at a small picturesue market town of Tangmarg and drive ahead on a scenic drive of 14 kilometers to Gulmarg. We arrive in Gulmarg early in the afternoon and check in at the hotel. Later we will begin a short tour around the meadow familarising ourselves with the beauty. In Gulmarg we will board the Gondola cable car system, and ascend towards the Afarwatt Mountain range. The 08 minutes of ropeway will take you past colorful shepherd hutments to the lower ridge of the Afarwatt peak. From here you can click lots of photos of the nearby mountain ranges that stand tall like sentinels guarding the rich natural beauty of Kashmir valley. We descend back to Gulmarg base after an hour or so and later do some horse-riding to the strawberry valley. We will stay at the hotel for overnight. After breakfast in the morning we will board our vehicle and drive through the Historic Lal Chowk towards the bye pass. We will crossover the byepass road and begin an exciting two hours journey to a place relatively unknown for the outside world. The Drive to Yusmarg takes you across grasy meadows, ringed by forests of pine, and towering beyond them, the awesome and majestic snow clad mountains. On your arrival in Yusmarg you can take all kind of walks across the rolling meadows which sometimes resemble its twin resort of Gulmarg. You can also stroll along the flower strewn meadows towards the mighty river froths of the Doodh Ganga. Yusmarg is ringed by several notable peaks incluing Tata-Kuti and Sang Safed. About 3 kilometers below Yusmarg a historical and religious place will be visited where stands the tomb of Sheikh Nu-Ud-Din who is still revered by both muslims and Hindus from time bygone. We will drive back to Srinagar in the evening and transfer to the hotel / houseboats for our overnight stay. After breakfast we will drive to the majestic mountain resort of Sonamarg. The route towards Sonamarg takes us on a picturesque country side drive where we will come across rolling hills, green forests, clear water streams and blooming rice fields. We will zoom past the town of Kangan which handles all the local needs of this region. From Kangan, we will drive towards Mammar, famous for its trout farm and stopover for a warm cup of tea before we head towards Sonamarg. We will once again alight from our vehicles at the tourist spot of Gagangir. The spot is built in the middle of the river Sindh and looks like an island with snow glaciers covering one or the other spot. In Sonamarg we will take a 3 hour walk or horseback trip to the Thajwass glacier. After our return we will visit the small town market for some snacks or just pay a visit observing the local people going with thier daily routine. 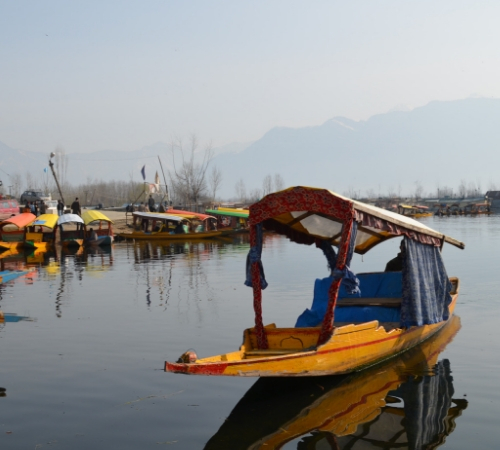 We will drive back to Srinagar in the evening and transfer to the hotel / houseboats for our overnight stay. 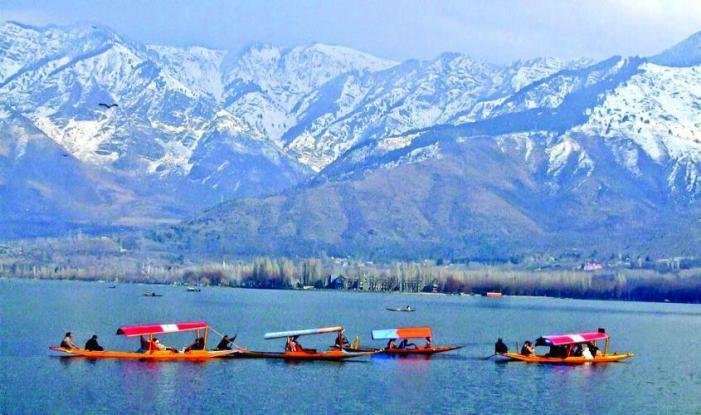 After a breakfast, you can opt to go on a shikara ride in the Dal Lake or visit some side places such as the Pari Mahal or Cheshma Shahi springs on your own. You can also simply rest at your hotel / houseboats and in the evening go on a nature walk along the boulevard road visiting flea markets and strolling for window shopping. and overnight in hotel / houseboat. After breakfast in the morning we will go on a day trip to Manasbal lake. Located in the Jehlum valley, north of Srinagar, the name Manasbal is said to be a derivative of Lake Mansarovar in Tibet. Encircled by three villages, the lake has a depth of (13 m / 43 ft) and also has a Mughal garden laid by Nur-Jehan by its side. We will drive the 30 kilometer stretch in a little over 02 hrs via Ganderbal and Shadipur. Nearby the lake one can also view the Baladar mountains to the east as well as an ancient temple recently un-earthed during the lake restoration works. The temple is dated to 800-900 AD and is believed to have been built either by Raja Avantivarman or Sankaravarman. We will explore all this and later drive back to Srinagar. Dinner and overnight at hotel / houseboats. Early in the morning right after breakfast you will be transferred to your waiting vehicle in which you will be traveling onboard to the airport for your flight home. Payments can be made by Cheque, Demand Draft, NEFT, RTGS or IMPS. Cheque/Demand Draft should be in favour of Visitindia dot Travels.